The Huawei P10 and P10 Plus were launched running on company’s own EMUI 5.1 on top of Android Nougat at MWC 2017. 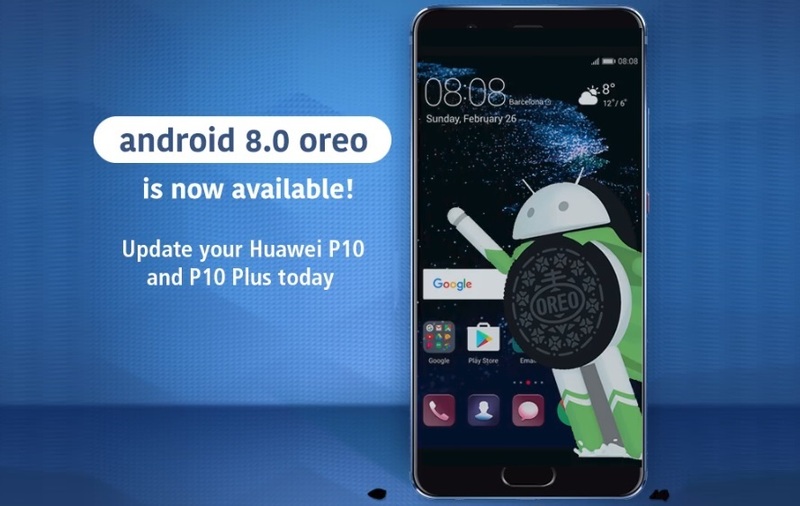 Since then a lot of users started talking about the Android Oreo update to be available for the Huawei P10 and P10 Plus smartphones. The Chinese variants of the phones have already received the stable Android 8.0 Oreo-based EMUI 8.0 update but not the international variants. In January Huawei started an official Android 8.0 Oreo-based EMUI 8.0 beta update program internationally for the P10 and the P10 Plus. Now Huawei has officially started rolling the Android Oreo Update for the P10 and the P10 Plus in the Philippines. The company made the announcement via its official Facebook account. However, it is still not clear if the update will be available to the other regions or not. The changelog for this update is also not been provided. According to Huawei, the updates will be made available via OTA (over the air), once the update will be available for your device you will get a notification on your phone to update to the Android Oreo. You can also check for the update manually for this just go to your phone’s Settings> Updater> Check for updates. Huawei also recommends you not to use any third party apps such as the Firmware Finder to download the update it is to avoid any of the compatibility issues which might get while updating with third-party apps. Once you get the update notification on your phone, please make sure the available storage space on your phone is at least 3 GB, the battery level is higher than 30% and you have a stable internet connection for the update to complete.